The collection is formed from the gifts of George L. Harrison, son of Charles Custis, 1936 – 1952, and George Harrison Talbot and the family of Margaret Harrison Robbins, 2010. Part of the University Museum of Archæology and Anthropology series was previously classified as the records of the University Museum (UPB 65.1, Box 3). The Charles Custis Harrison files of the Office of the Provost are organized into eight series. They are University of Pennsylvania (1892 – 1929); University Museum of Archæology and Anthropology (1891 – 1927); Fundraising records (1887 – 1926), Speeches (1895 – 1926), Memoirs (1925), Memorabilia (1892 – 1910), Personal papers (1858 -1929), Family papers (1854 – 1943). All series are arranged alphabetically by topic and then chronologically. Charles Custis Harrison was born in Philadelphia on May 3, 1844, the son of George Leib and Sarah Ann (Waples) Harrison. His early education was at the private school of Miss Tatham on Pine Street in Philadelphia and the parish school of St. Luke’s Episcopal Church before entering Episcopal Academy. He received the Bachelor of Arts in 1862, the Masters of Arts in 1865, and an honorary LL.D. in 1911 from the University of Pennsylvania. As the co-owner of a very profitable sugar refinery, he became a Trustee of the University in 1876 and continued in this capacity until his death in 1929. In 1894, at the urging of his colleagues, he became the Provost of the University. 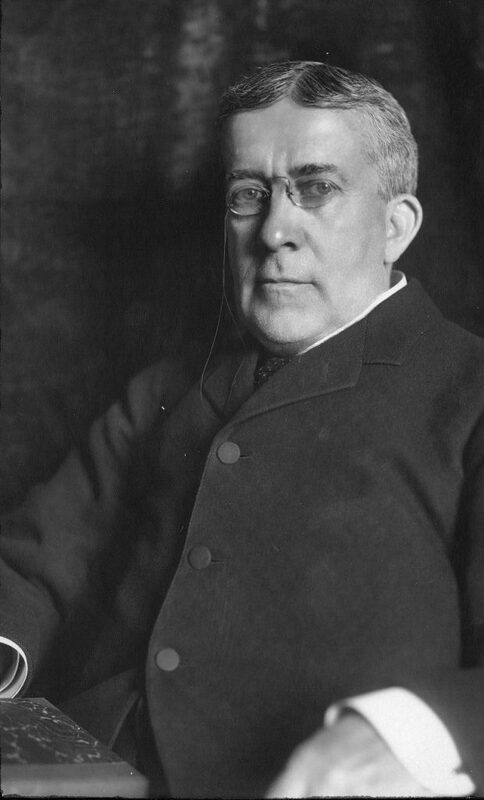 His years as Provost, 1894-1910, were a time of expansive growth for the University, especially in the number of buildings added to the campus. Using his extensive personal contacts from his business and political associates, Harrison raised funds (making large contributions himself) for dormitories as well as Houston Hall, the University Museum, the Medical Laboratory, the Law, Engineering, and Dental School buildings from the wealthy of Philadelphia society. After stepping down as Provost, he continued his involvement with the University as the Vice President and later, President, of the Board of the Managers of the University Museum (1911-1929). During this period, joint expeditions with the British Museum were planned and carried out and many works of art were procured for the Museum. Harrison won the Philadelphia Award in the year 1924. He died in Philadelphia on February 12, 1929. He married Ellen Nixon Waln in 1870. The Charles Custis Harrison Files of the Office of the Provost Records document his activities as Provost of the University of Pennsylvania and as Vice President and President of the Board of Directors of the University Museum. This collection though part of the Office of the Provost Records, includes material from almost all aspects of Harrison’s career with the University of Pennsylvania. It will aid research in the history of the University Museum, University fundraising, and the development of the university in the United States. The Charles Custis Harrison Papers contain outgoing correspondence from his years as Provost of the University of Pennsylvania (1894-1911). The correspondence relates to his job duties as Provost: budgetary, program development, building construction, and faculty hiring. Frequent correspondents include William Draper Lewis, Edward W. Mumford, Charles H. Frazier, J. Hartley Merrick, Josiah Harmar Penniman, and William Otto Miller. There is a collection of letters sent to him from a variety of leaders in the field of education, philanthropy and the University on the occasion of his retirement. The collection also includes correspondence concerning the formative years of the University Museum of Archæology and Anthropology and its academic arm – the Department of Archæology and Palæology. There are copies of the minutes of the Board of Managers of the Museum as well as correspondence with key figures, such as Sara Y. Stevenson, Clarence H. Clark, E.W. Clark, John Henry Haynes, H.V. Hilprecht, Morris Jastrow, Jr. Typescript copies of the Museum’s first excavation project at Nippur in present day Iraq complement the correspondence. In addition to these early records, the collection contains correspondence about the museum’s management and collections in the 1920s during Harrison’s final years as President of the Board of Managers. Information on Harrison and his family can be found in the personal and family papers series. It includes newspaper clippings and some correspondence concerning the business career of Charles Custis as well as some of the family’s interest in the arts, such as his purchase of “Breaking Home Ties” by Thomas Hovenden (and includes a photograph of the artist painting the picture). There is a small amount of material relating to Harrison’s wife Ellen Nixon Waln and her interest in history and the Colonial Dames. Researchers should note that more records regarding Harrison’s term as Provost of the University can be found in the Archives General Collection (UPA 3). Washington Memorial Chapel (Valley Forge, Pa.).